Computer Science for All Should Be Fun! At Let's Start Coding, we know coding and computer science is important. We also know how fun it can be to learn something new and useful. We've developed hands-on projects and kits that teach the fundamentals of computer science with real, tangible outcomes. Students in middle and high school can build gadgets and learn about loops, variables, methods, and more in the C++ language. They're typing code just like the professionals. 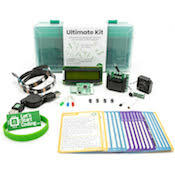 The kits keep students engaged and we keep the kits affordable- they start at under $50 and include everything you need to start coding. Engineers have always been quick to tear things apart to learn about them. We want to bring that spirit to computer engineering, too. We provide dozens of working code examples so that students see code in action, then start to make changes that reveal how each line affects the outcome. By the time they understand the parts of the program, the theory comes easily. This is the reverse of starting with a textbook and a blank screen (the classic approach to CS). To help educators build a curriculum that fits their school, subject, and timeframe, we created 14 step-by-step lessons that cover the basics of coding and explain how and why the code works. 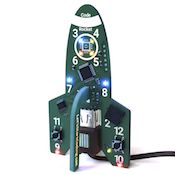 Each lesson contains working code that students tinker with. There are walkthroughs of the programs and links to learn more about the code concepts. We also tie our lessons in to common standards like NGSS and Common Core. 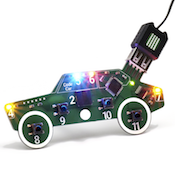 These resources are provided for free to educators so that they can build on our ideas or use them to get started coding in the classroom. Go to the Educators Page. Let's Start Coding has helped educators around the country get started coding, whether in a classroom, club, camp, or museum setting. We can advise you on the best way to use our products depending on your available resources and goals. We'd love to hear from you! Ask your questions from the Educators page or email us directly at info@letsstartcoding.com.